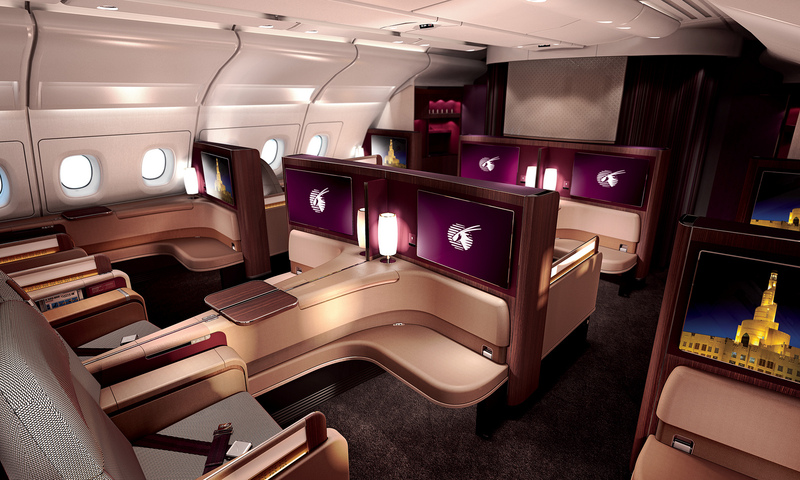 Over the past few weeks, Qatar Airways have announced a variety of new and upgraded products to add to their fleet. 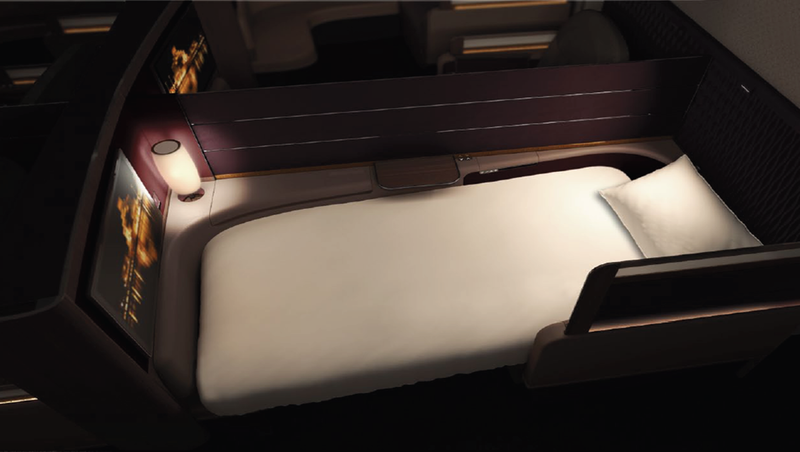 As their fleet has continued to grow, the airline has constantly invested into their onboard product, with such a variety of different aircraft, the business class product can vary dramatically, but this latest product release is going to bring the business class experiences in line a little more. On the A330 a new fully flat bed seat is already being introduced, and should be fully installed on 7 A330-200 aircraft by Q3 of 2014. The seats also feature six-way adjustable headrests, four-way adjustable lumbar support, a variety of personal stowage compartments, privacy dividers and fresh contemporary styling. The upgraded A330s will operate on the Barcelona, Osaka, Hong Kong, Kuala Lumpur and Phuket routes. 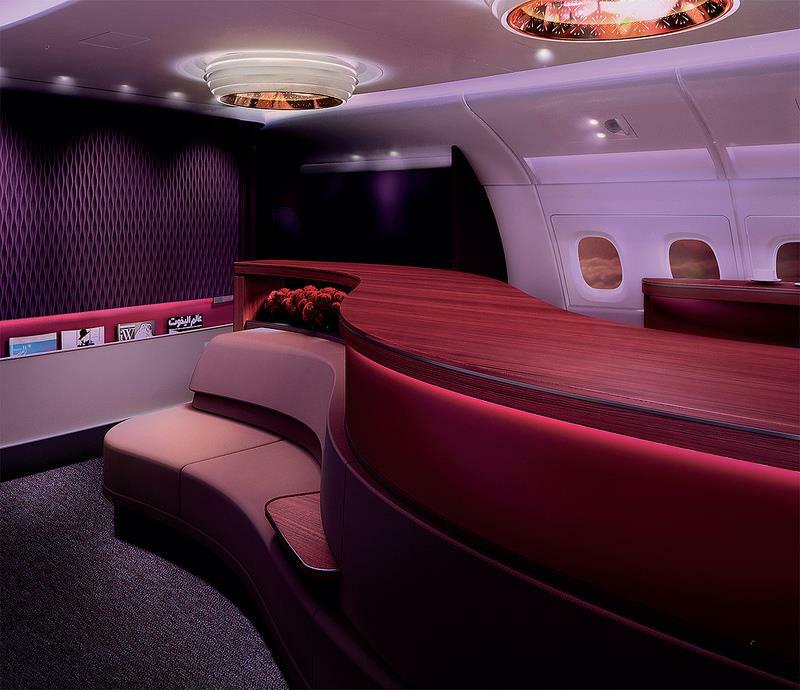 These new aircraft will help lift the business class service to the level found on their premium 777 aircraft. It doesn’t stop there. 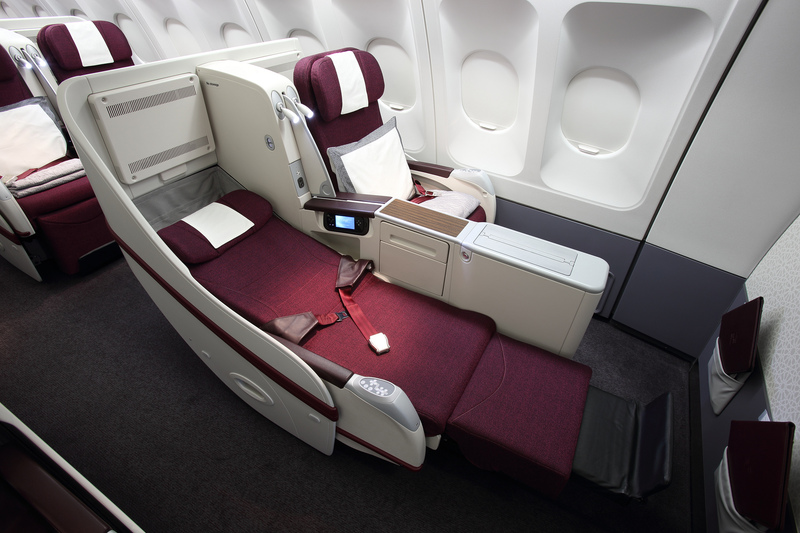 Whilst Qatar airways have announced a new ‘all-premium A319‘ from Doha to London, the airline is also introducing flat bed seats to a few of its A320 aircraft, that will operate the premium Vienna, Tunis, Milan, Rome, Geneva and Maldives routes. Whilst the images here are similar to those found on the A319 artists impressions, it is still not confirmed if the seat will be identical between the narrow body fleets. Business Class on both aircraft will feature new 15.4” smart monitors and touch screen remote controller handsets, which also allow dual screen mode. The seats also offer PC Power, USB ports and connectivity for smart devices. On A330 aircraft, the inflight entertainment system will be upgraded to the Panasonic eX2 platform, providing a richer entertainment experience with a greater amount of programming. We are however, mightily impressed with this product, a proper flat bed seat on a short haul aircraft, which makes legacy carriers such as British Airways and Lufthansa with their ‘free middle seat’ policy, look inferior in comparison. We should be doing a trip report in the upcoming months on the all-premium A319 and will report back on the entire experience. 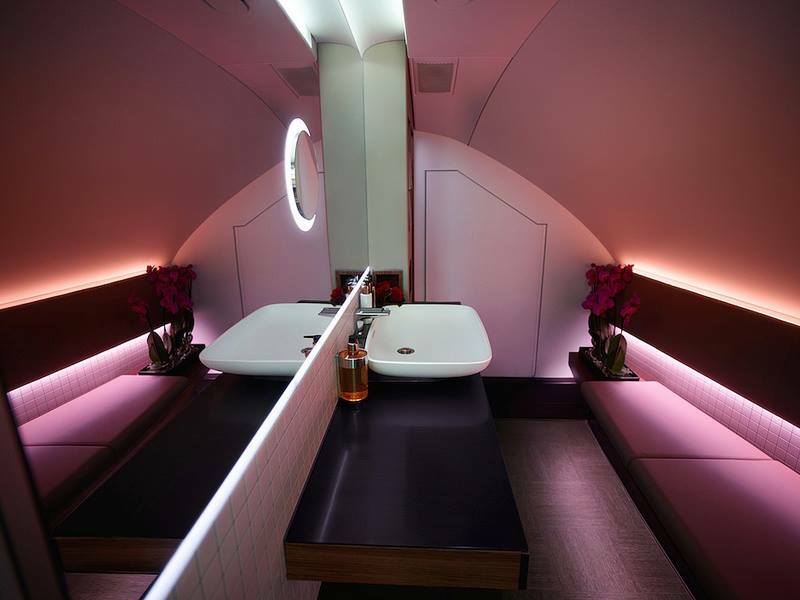 The most impressive announcement, which has left some of the details as a mystery, was of the new A380 First Class suites, that will first debut on the Doha – Heathrow route. 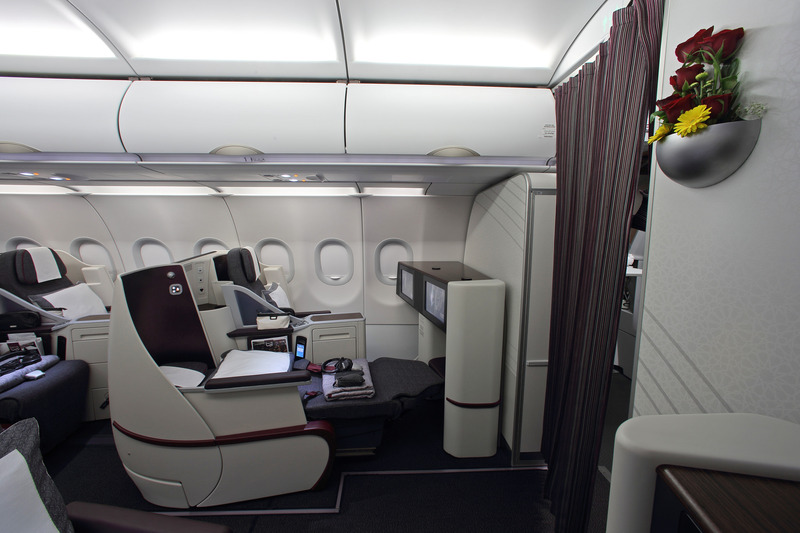 It was during a festive ceremony at the International Tourism Fair in Berlin, that His Excellency, and Qatar CEO, Mr. Al Baker introduced the A380’s new First Class seat to the world. The product offers a seat pitch just over 2.2 meters long and can be converted into a fully flat bed. In addition, the seat unit, the widest in the industry, allows for access to a 26-inch screen with a variety of entertainment options. There are also two privacy screens (One between the seats and one on the aisle), increased personal storage as well as the ability for two passengers to sit across from each other while dining. The elegant design is more private jet than first class suite, with sweeping luxury lines creating an air of elegance and effortless design. We love the finishes, the massage functions in the seat and all the hidden storage, including a wardrobe to hang your clothes. We expect more details announced soon on this first class seat, but one thing is for sure, the announcement and pictures above are most likely going to attract a fair few bookings!